Last week at daycare we started in on our fall activities. We broke out the fall sensory bin (I made this two years ago and we still have it! ), read all of our fall books, and even had a small Apple Cider Party (I failed to get pics this time around but no fear, we will be doing another Apple Party soon!). Our fingerplay 10 Little Apples is also a favorite and the kids tend to hold up their hands to me and say "apple" when they want to do the activity (a lot of the time it's in the middle of playing). 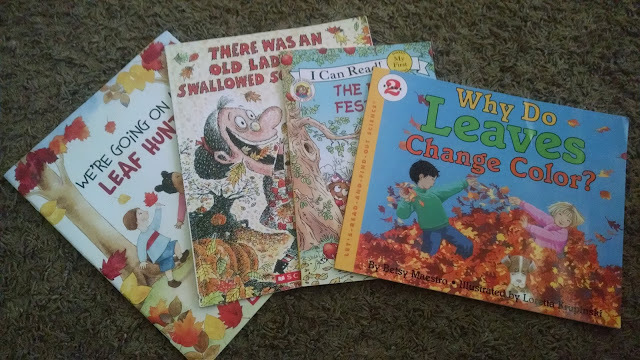 A few of their favorites to read daily: We're Going On A Leaf Hunt, There Was An Old Lady Who Swallowed Some Leaves, The Fall Festival, and Why Do Leaves Change Color? 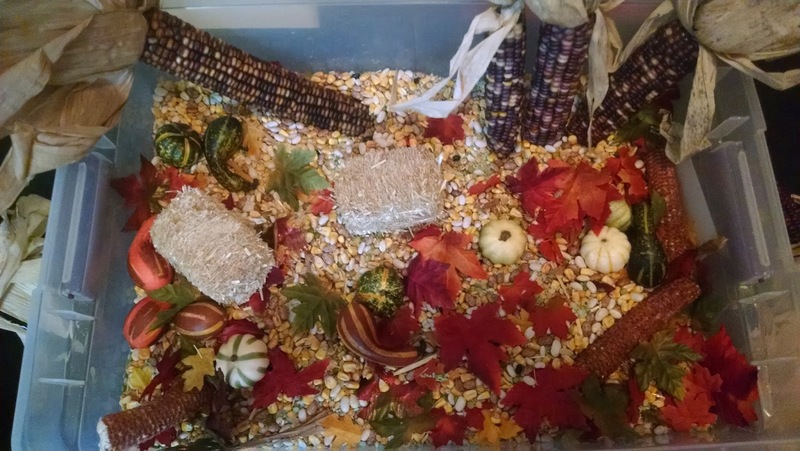 The beloved fall sensory bin! By far one of my favorite bins I've ever put together. All ages love the bin, but preschoolers are often the most curious, asking about the different gourds, corn, and colors and shapes of the leaves. Last year we even did a leaf matching game to figure out what kind of leaves fell from which type of tree. I love that it's educational but it's all child lead! The dinosaur play mat is a fun sensory activity for the little ones. It's very crinkly, which means the littles love walking across it and hearing the noise it makes. We tried running across it (and by we, I mean them), stomping, jumping, and crawling across the paper. To the littles amazement, they all made different sounds! Our glittery apple craft. Read more about those here. Miss Elizabeth had her first day of four year old preschool mid-week. 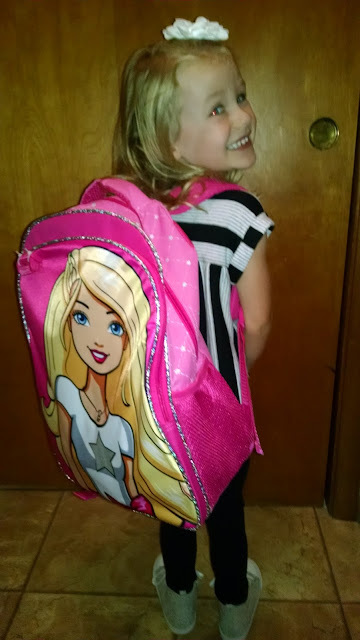 It's her last year at her preschool before she heads to the "big school with the boys." We're both pretty thrilled for next year when all minis will be at the same school, with the same schedule, with the same school events to attend. 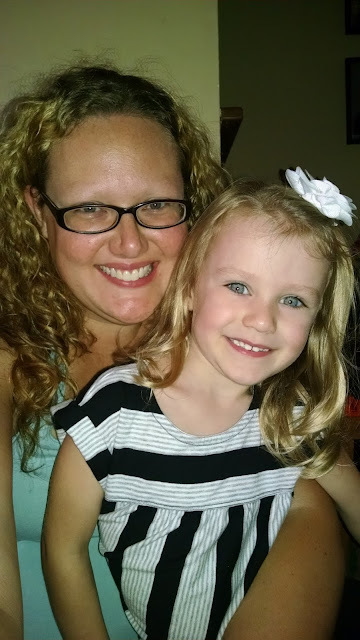 But in the meantime, she's thoroughly enjoying her last preschool year. With all of the big kids now at school, there's been lots of changes for the littles. They've asked for the big kids several times (asking for them by name even. It's adorable and tugs my heart at the same time) but everyone still seems to be happy....they just don't enjoy doing the activities as they normally would. At first I was confused but I think I've figured out why: the bigs aren't around to 'show em' how it's done' (in other words, lead them). The littles tend to watch the bigs then jump into the activity. Without the bigs , it's up to them. They're slowly figuring it out and I try not to press them into anything. These two girls. When Elizabeth is home, she has a following. 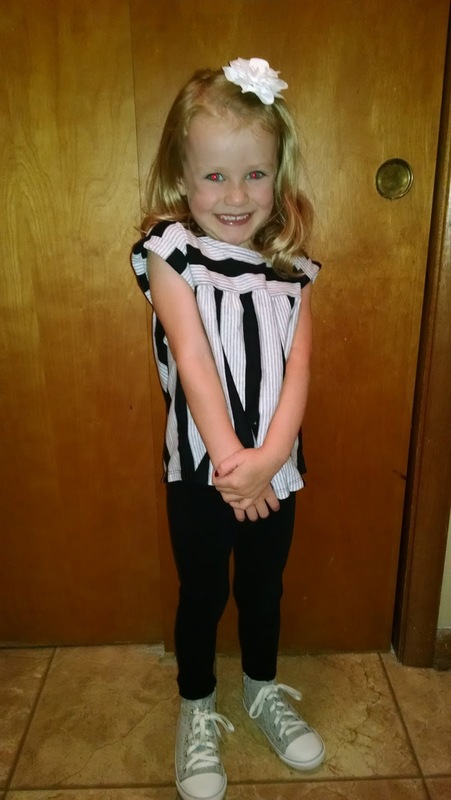 She's a little bit bossy and is trying to figure out how to be the big kid around. This week, these two girls tried to walk out the front to go get ice cream. They had on play heels, play money, and purses. They came up to me and asked if they could go get ice cream. Thinking they were just playing (as most would assume with the attire they were sporting), I said "sure have fun getting ice cream girls." They then opened the front door and walked right on out. Apparently they weren't kidding and acted appalled that I wouldn't let them walk the few miles to the ice cream shop! The next day they were playing (with toys they didn't want me to see) and one of the pieces fell under the sofa. 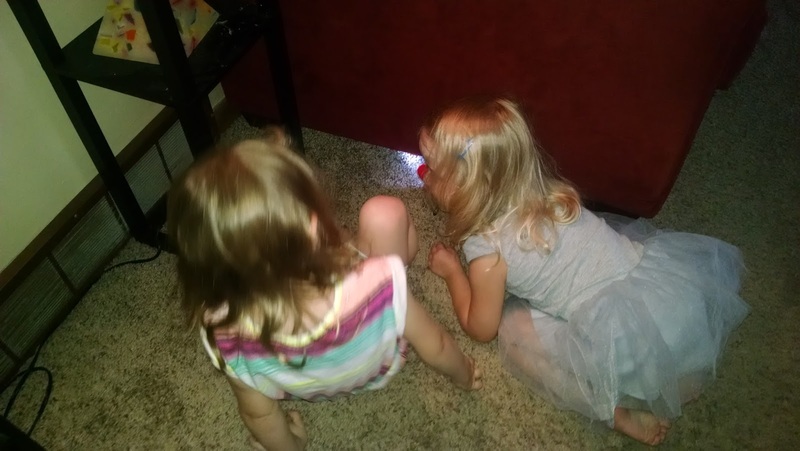 Quickly thinking (so they wouldn't have to involve me), they grabbed a flashlight, one held it while the other fished the toy out. Excellent problem solving skills on their part. I can't say I'm ever short on entertainment here! The kids "made a beautiful cake" for our apple cider party. 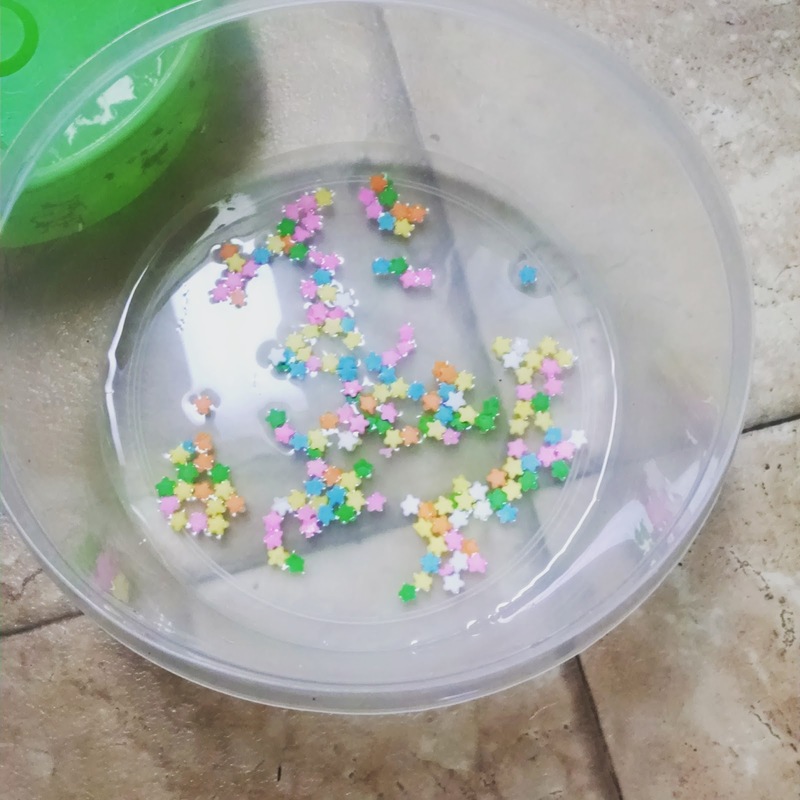 The "cake" consisted of water and sprinkles to start, but when it didn't start to look like cake they asked for flour, milk, chocolate sauce, and Cheerios to put in it. I obliged. As much as the littles are still adjusting to the "new" daycare, I'm adjusting too. I tend to plan a lot for our days and it's taking me a while to realize that the kids are good with one, maybe two, planned activities. I'm used to planning activities for a lot of kids or various age groups. Now it's just a few kids in a small age group. 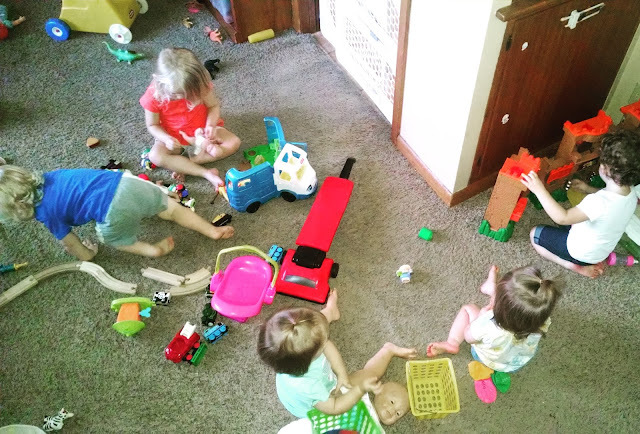 This week we're trying just one scheduled activity for the day (craft, sensory bin or activity, a game) that way we still have plenty of free play time and can still read our books and sing songs when we have a free moment. Lunches have been quite easy too. Instead of needing to cook every meal fresh (because there were sooo many mouths to feed), I can serve leftovers for lunch every day. The kids have been (somewhat) enjoying our leftover casseroles and grilled meats from the night before. I'm very excited for our upcoming (current week) at daycare. 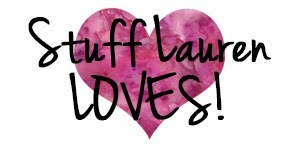 We'll be doing apple printing, examining the insides of apples, making homemade applesauce in the crock pot (a fave snack for this time of year), and maybe even doing some shaving cream play if the weather cooperates (or even if it doesn't, the kitchen is a good sub).